Beazer Homes, one of the nation’s top 10 homebuilders, is pleased to announce the grand opening of its newest Charleston, SC area community, The Oaks at Cane Bay. Located in the desirable Cane Bay Plantation of Summerville, this community features a lush, wooded perimeter, a planned pool and pavilion and 274 home sites, some as large as 12,000 square feet. The Oaks offers nine upscale single- and two-story floor plans ranging from 1,750 to 3,284 square feet with up to five bathrooms and seven bedrooms. Distinctive exteriors with inspired architectural detailing and upgraded interior finishes are appealing features of these impressive homes. This community also offers Choice Plans, a Beazer Homes exclusive offering that allows buyers to transform their floor plans to best fit their lifestyle. The most frequently chosen kitchen and secondary floor plan options have been packaged and offered to buyers at no additional cost. The Oaks is a Natural Gas Community featuring 100% ENERGY STAR® Certified homes that exceed the current ENERGY STAR® requirement. It’s one reason Beazer Homes was awarded the Environmental Protection Agency’s ENERGY STAR® Partner of the Year award in 2014. Homes built to these requirements save up to 30% on monthly energy use. 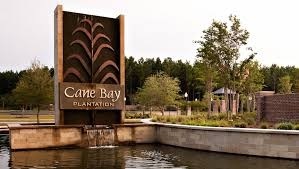 Located in Cane Bay Plantation off US-176, The Oaks at Cane Bay will provide convenient access to I-26, making for an easy commute to local area employers and retailers. In addition, residents of this community will be served by award-winning schools and will enjoy the master planned community’s tranquil setting and access to shopping, dining, schools and healthcare. To learn more about The Oaks at Cane Bay, visit www.beazer.com or call 843-647-7407. About Beazer Homes: Headquartered in Atlanta, Beazer Homes is one of the country’s 10 largest single family homebuilders. The Company’s homes meet or exceed the benchmark for energy-efficient home construction as established by ENERGY STAR® and are designed with Choice Plans to meet the personal preferences and lifestyles of its buyers. In addition, the Company is committed to providing a range of preferred lender choices to facilitate transparent competition between lenders and enhanced customer service. The Company offers homes in 16 states, including Arizona, California, Delaware, Florida, Georgia, Indiana, Maryland, Nevada, New Jersey, New York, North Carolina, Pennsylvania, South Carolina, Tennessee, Texas and Virginia. Beazer Homes is listed on the New York Stock Exchange under the ticker symbol “BZH.” For more info visit Beazer.com, or check out Beazer on Facebook and Twitter.